Johanna Mueller broke into yachting the old fashioned way. While working at a hardware store, her work ethic shone through and touched yacht owners shopping inside. It was the late 1970s and there were no such things as crew agencies. 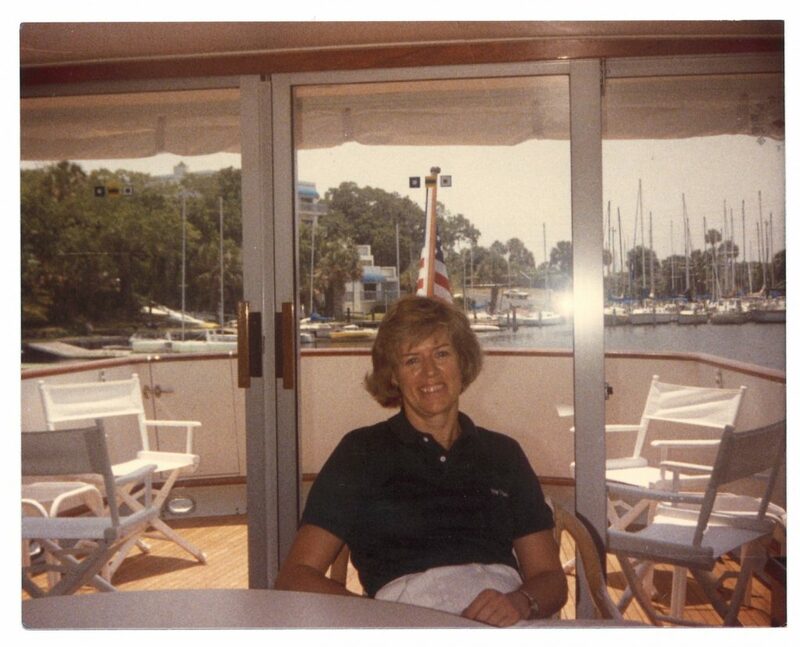 Ms. Mueller, who would spend the next 40 years working on classic boats, died Feb. 27 of complications from lung cancer. She was 78. 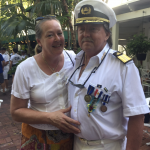 Those yacht owners — Bill and Betty Remmert of St. Louis, Missouri — offered Ms. Mueller a job as chief stew on their 97-foot Burger M/Y Elizabeth R, and she traveled the Caribbean, Bahamas and northeast coast of the U.S. with them. Her next boat was M/Y Big Dipper, the 80-foot Burger owned by Edwin Singer of Corpus Christi, Texas, where then-Mate Rick Rahm met her in the early 1980s. 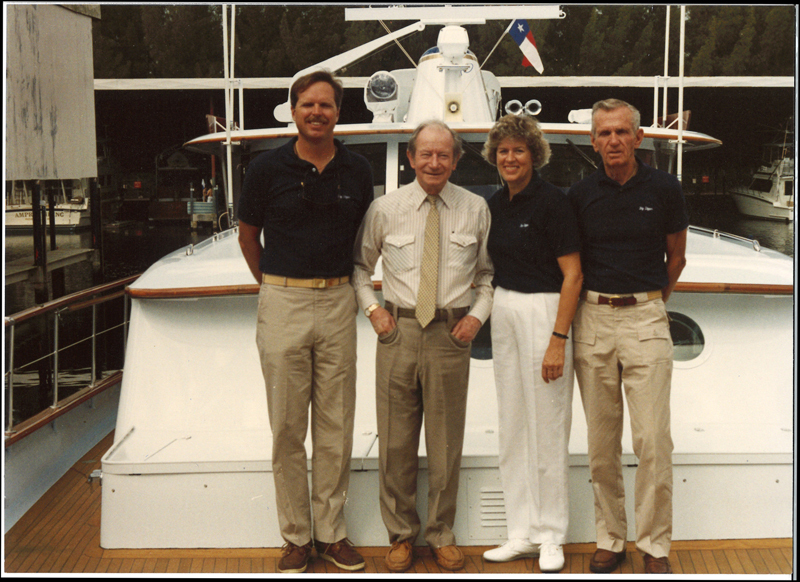 That yacht also traveled the Bahamas and the northeast, and she would work with them throughout the 80s. 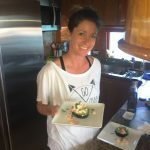 Ms. Mueller worked on another 80-foot Burger named M/Y Yankee Spirit. “Johanna and Burgers had a thing going on!” Capt. Rahm wrote. Her last berth was on the 125-foot Burger known as Mimi/Kakapo owned by Stanley Hubbard of St. Paul, Minnesota. She retired from the Hubbards about five years ago after being with them for nearly two decades. Born in Bavaria, Germany, on Sept. 28, 1940, Ms. Mueller was the youngest of five children. She emigrated to America in the 1950s and worked as a nanny for a U.S. Army officer and his two young sons. She arrived in Fort Hood, Texas and stayed with the family until the boys graduated from high school. She then moved to Florida and worked as a waitress in Miami and in that hardware store in Hallandale Beach. She never married. Ms. Mueller is survived by her brother, Heinrich, and family in Bavaria. No services are planned, per her last wishes, Capt. Rahm said. What an inspiring career — one which those of us in the industry should take notice. Not the current “mode” – but admirable for so many reasons. A remarkable tribute to “the traditional” era of yachting – the honorable and fond relationships which a happy yacht fosters.